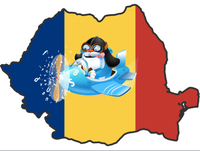 The launch of the Romanian version of English Attack!, scheduled for June/July 2011, will allow English language learners in Romania to improve their English with video clips from blockbuster movies, hit TV series, music videos and television news reports ; online games ; thematic visual dictionaries; and a global social network of learners of English. Users will have a choice between an English-language interface and a version with navigation, help texts, tutorials, a dictionary, and other resources in (local language), and allow easier access to the site’s unique pedagogical approach. Assist delivers and promotes innovative software solutions in emerging fields such as web-based custom business applications, e-learning, e-commerce, e-payment, e-security, e-health or enterprise & resource planning, solutions developed to continuously and effectively fulfil partners demands by constantly updating knowledge, conquering new areas of expertise, increasing the quality of consultancy and the marketing services. Focused on media design, marketing, re-design of applications, assistance and educational activities Assist has tailored long lasting relationships worldwide, both on business and education areas. Created by specialists in the media and entertainment industries in partnership with a range of English-teaching professionals, Entertainment Learning brings the power of digital entertainment to language learning, and is positioned in the international on-line English training market with English Attack !, an innovative approach based on cognitive neuroscience and the use of learning concepts derived from media and videogaming. Its founders, Paul Maglione and Frederic Tibout, are regular speakers at English language teaching events and conferences around the world.